It's become something of a clich'e but it is one worth repeating, if only to try and find a solution to this perennial problem: projects fail. Diederik Jordaan, managing director, Gen2 Group. 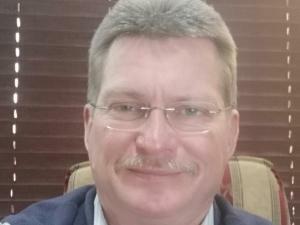 "There's a plethora of statistics emanating from research undertaken by such reputable organisations like the PMI, Gartner and Forrester Research that clearly indicate the dire situation around the success, and failure, of projects internationally," says Diederik Jordaan, managing director of Gen2 Group. The 2018 PMI Pulse of the Profession report, for example, notes almost 10% of every dollar invested in a new project is wasted because the project fails to meet its present goals in terms of time, budget, quality or meeting expectations. This translates into the frightening statistic of almost one in three projects being written off as a 'failure'. One of the key reasons for this is that project management offices (PMOs) themselves fail, with most closing down within three years of their establishment. But, even the best PMOs experience some level of project failure. "Projects can fail for any number of reasons, but among the most common is the fact that while there's technology that's designed to enable projects to be managed in a transparent and uniform manner, an enormous number of organisations still rely on manual or outmoded techniques, or implement their project management in a haphazard way, effectively setting their projects up for failure," Jordaan explains. A recent Changepoint survey found over 70% of organisations use multiple tools to try and track their projects. Many still attempt to carry out this complex task manually with the aid of spreadsheets or similar tools. In addition, nearly two-thirds of respondents utilised multiple methodologies such as agile and waterfall, or a combination of both. Jordaan maintains utilisation of the right project portfolio management (PPM) solution can make a significant difference to the success or failure potential of projects. * Capture all project-related and non-project work, thus allowing for improved transparency across portfolios, which enables better decision-making and prioritisation of tasks. * Enable cross-organisation visibility which is essential for ensuring the right resources: people and finances, are directed at the right tasks, at the right time. * Deliver improved reports with a "single source of truth", again allowing for more accurate decisions to be made. * Provide an overall project management framework with project templates that simplifies the administration work associated with projects, and ensures teams get up and running more quickly. * Standardise processes and reduce unstructured data, enabling the PMO to focus on project delivery as opposed to being bogged down in administrative tasks. "Effectively, a PPM tool delivers better decision-making, streamlined PMO processes, and improved productivity through better resource allocation and utilisation. This has been shown to result in an increase in the project success rate, greater cost savings per project and, importantly, having more projects aligned with strategic business objectives," Jordaan says. If your PPM tool is to help an organisation not only deliver projects on time and within budget, but also meet the business needs and strategic goals of the organisation, choosing the right PPM tool is critical. According to Jordaan, while there are many PPM tools available, there are certain features that should be considered non-negotiable when choosing which one to invest in. * Provide continuous visibility into the pipeline during all phases of the project thus making it easier to identify looming bottlenecks, and enable adjustments to accommodate changes in capacity, strategy and/or goals. On a granular level, Jordaan recommends you look for a tool that has the ability to create easy-to-create and easy-to-read dashboards. These allow stakeholders to understand the status of key aspects of the project virtually at a glance. The PPM tool should also provide holistic, all-angles resource planning and management features that enable what-if analyses, track project and non-project work; and provide for demand forecasting reports. Finally, you should look for a tool that offers comprehensive project management functionality that delivers the live updates needed to keep the project on track and on budget, along with role-based dashboards that allow key components of the PMO's operations, resource, budget and programme data, to be monitored in real-time. A business priorities change, traditional project management practices and functions will require a new set of skills, management styles, and overall mindset. Jordaan has identified seven key, or P, trends which he believes will have an impact on the full scope of PPM going forward. Pace: As the pace of innovation and technology development continues to accelerate, the risk of obsolescence in both PPM software, and the PMO itself, increases. People: PMOs will become increasingly multi-generational and the PMO will have to adapt to accommodate the different values, habits and work style of team members ranging from 'baby boomers' to Generation Zers. "Expect emotional management and critical thinking to assume greater importance, possibly even than skill sets, within the PMO's remit," he says. Police: The function of the PMO is changing. Instead of being focused mainly on policing process, the PMO will have to work with the changes that digital transformation is bringing, including the disruption in transitional business practices and processes. This will include ensuring projects and processes are aligned with business strategy. Partnerships: Successful project delivery will require a high degree of collaboration from different teams and groups across the organisation. PMOs will be required to orchestrate and manage those partnerships and to drive and manage change within the organisation. Processes: While many PMOs are experimenting with agile methods to manage projects, adoption is still lagging. This has to change. Business innovation demands a move away from the predictability, streamlined execution and risk elimination that has dominated traditional PPM thinking. Proliferation (of new technologies): As more and more business start to adopt disruptive technologies like Internet of things (IOT) and artificial intelligence (AI), so traditional project management tasks will have to change not only to accommodate the changes these technologies bring, but also to identify any strategic opportunities they may bring. Product-centricity: Projects will increasingly be driven by the need to get products to market faster than ever before. This, possibly more than any other factor, will change the face of project management with the skill set required in the PMO shifting from checklists and timelines to incorporate more holistic, critical and strategic thinking.